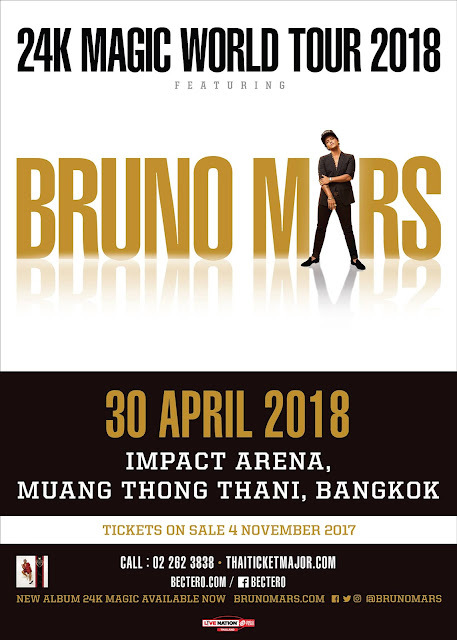 After announcing stops at several Asian countries including Malaysia and Philippines, Bruno Mars has finally decided to include Thailand as part of his 24K Magic Tour in Asia. Thailand’s entertainment conglomerate BEC-Tero Entertainment will be bringing the Grammy-award winning talent to Impact Arena Muang Thong Thani on 30 April and 1 May 2018. 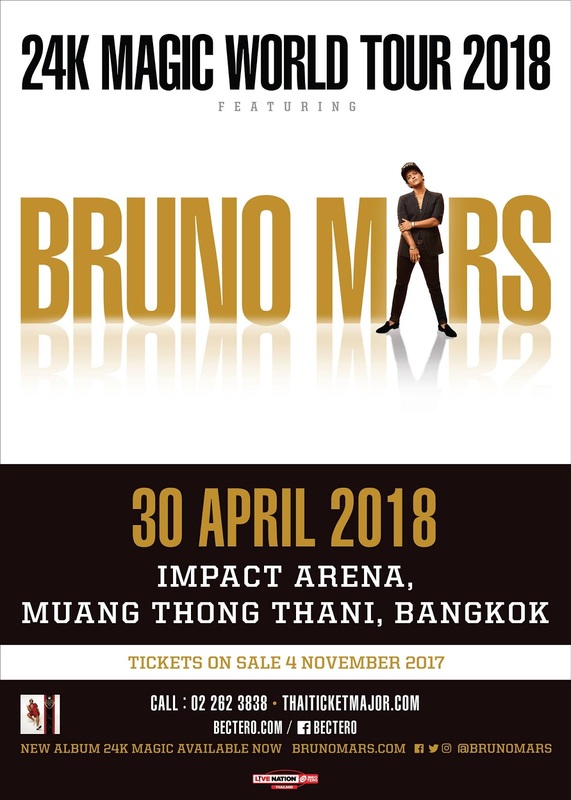 This will be Mars’ second visit to Thailand since his 2014’s Moonshine Jungle Tour. 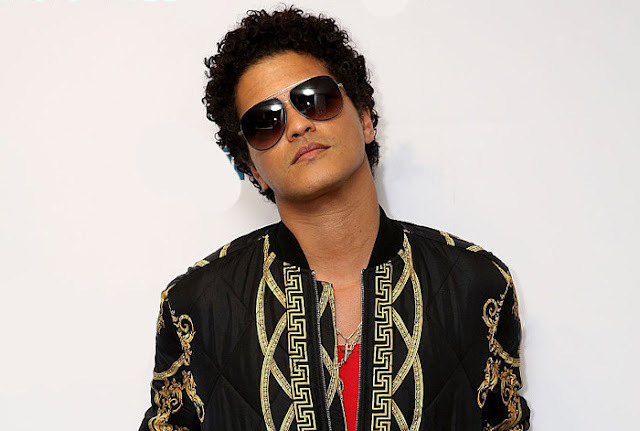 After Thailand, the “Versace on the Floor” singer will head to Philippines on 3 and 4 May at Mall of Asia Arena, and Malaysia on 9 May 2018 at Axiata Arena. So far, the Asia leg of the tour includes Tokyo, Bangkok, Manila, and Kuala Lumpur, but since all the shows will only takes place next year, there’s a chance that the singer might be announcing more stops or additional dates to current stops – let’s just hope so! Tickets for start at THB3,500 and will be available on 4 November 2017 at thaiticketmajor.com.